"Stop doing this to black cat owners y’all... we have feelings too," says Pearl after being mocked for mourning the death of her cat. 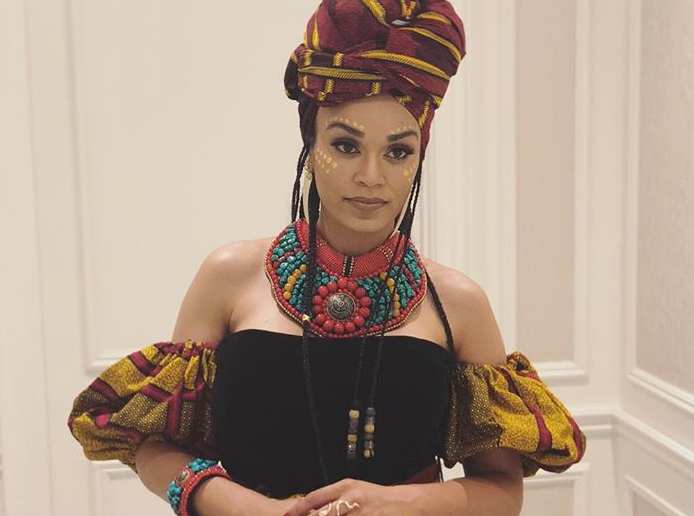 Pearl Thusi recently lost her cat, Sarah, but was afraid to speak up publicly for fear of being judged. The actress revealed she cried for hours after her beloved pet passed away. "Been crying about my cat for a full 24 hours. And I couldn’t tell ya’ll ‘cause ya’ll gon’ judge me. Why ya’ll so trash doe…Y'all laughed at that girl who Insta lived about her cat/dog being put to sleep. I felt so bad for her,” she wrote on her Instagram Story. Pearl, who is currently in America, was not at home to be with her cat when she died. "I'm sorry I wasn't there to mourn properly," she added. ALSO READ: Has Pearl Thusi scored an invite to Priyanka Chopra's wedding? Sure enough, social media users were quick to make fun of Pearl's post. "It's just a cat, Pearl," one Twitter user wrote. Despite warning that she would mute anyone who talks trash about her mourning her cat, Pearl wasn't too upset by some of her followers' lack of understanding. She even tried to make light of the situation. One Twitter user revealed that she also lost her pet cat recently and was ridiculed for having a relationship with the animal. "People think, "what is wrong with you, it's just a pet" I had to weep alone in hiding.And people don't understand that its way more than that!! Sorry for your loss #ProudCatMommy," the woman wrote. Pearl told her that cats' lives also matter. "Stop doing this to black cat owners y’all... we have feelings too. I only called my Bffs and white people. I didn’t even bother telling my dad. My person fake empathized but at least he didn’t tease me," she replied. #Catownersfeelingsmatter stop doing this to black cat owners y’all... we have feelings too. Can a girl just mourn her cat's death in peace!? We feel you, Pearl.